Right now I would say it is Kassandra Leyden, the spiritualist from the series of steampunk stories that I’ve written recently. She’s smart, observant and dangerous in a very common sense sort of way. In other words, she quickly evaluates a situation and plans ahead whereas most of her compatriots tend to charge right in. But favorite characters are like favorite music to me- it’s more of a du jour type thing. I’ve done some acting as well as scriptwriting. Friends and I did a black and white short, The Space Stone, that was shown at Balticon and we’re working on the follow up. I’m also a teacher for a summer camp called Step Back in Time that prepares kids for their first time at the Renaissance Faire. Dreamwrights Youth and Family Theater calls on me occasionally for props and costuming. I’m catching up on some Bruce Sterling that I somehow missed: Heavy Weather, Distraction and Globalhead. On the nonfiction side I finished Moby Duck not too long ago, which was an odd look at the fate of 28,880 plastic toys lost in the Pacific. That’s actually not an easy question. To me the scenes usually aren’t tough to write, the tough part comes in when I am going back over it again to make sure that it flows, makes sense and that it really achieves what I want. I think that action scenes are probably the toughest because I tend to look at things from a very theatrical angle and get caught up in trying to show the reader the complete picture that’s in my head. You simply can’t do that unless you are filming it and you’re losing the opportunity to have the reader co-experience the moment by adding his or her own interpretation to things. I wrote an action scene in a cyberpunk story called “Brought Down Under Heaven” where a person was in a pool at the top of a building. One side of the pool had a glass wall and an aircraft was flown into the wall spilling out all of the water and people in the pool while the main character tried to escape. I could see the whole thing in my imagination and it was a struggle to decide what to keep and what to remove. It still remains the one scene I would love to find a way to film. Stories I typically let take me for the ride, but I won’t write them until I have enough of the pieces to reach a critical mass. So I do have to take notes in order to keep the pieces together. As for novels, I tend to put together a list of chapters and try to make the working names evocative enough so that I remember the main crux of the action and then of course tack notes onto each chapter. Iain M. Banks - for his amazing large-scale imagination that still never loses sight of humor. Larry Niven - another creator who works in epic proportions and does a fantastic job of imagining alien life. Edgar Rice Burroughs - for sheer ability to entertain without concern for the absolute ‘whys’ of the way things might work. He received a Writers of the Future award for "Written in Light" which appears in the 26th L.Ron Hubbard’s Writers of the Future Anthology. He’s been published in: Realms, Neuronet, Trail of Indiscretion, Cemetery Moon and Carbon14. 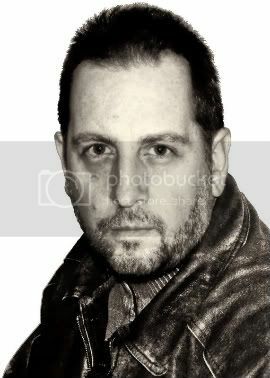 Jeff contributed to the anthologies By Other Means, Clockwork Chaos and In an Iron Cage: The Magic of Steampunk, all to be released in early 2011. Jeff has led the Watch the Skies SF&F Discussion Group for ten years. Thank you for stopping by, Jeff. I hope you get that 'reversal' soon!